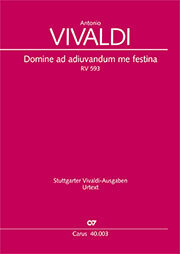 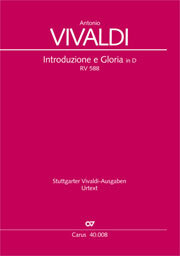 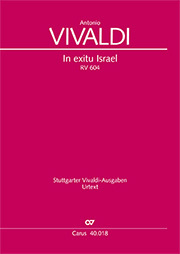 Vivaldi’s Gloria was the fi rst edition to be published by Carus-Verlag, at a time when the sacred music of this Italian Baroque composer was largely unknown. 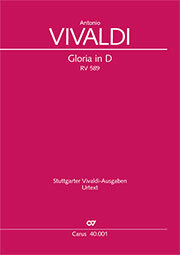 This edition of the Gloria has found great acceptance worldwide. 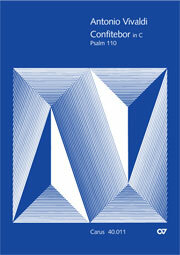 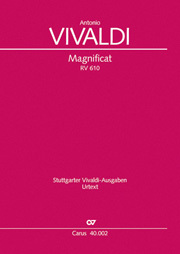 Since than, Carus has striven to present a complete edition of the unjustly forgotten sacred vocal music of Vivaldi.